If you had ever told me that my sister would be going through things that CFers usually go through (getting a port put in, having an NG tube, and a few other things), I would have laughed at you. The sad truth, however, is that she is having to go through all of this and more due to her cancer diagnosis. I am not going to explain everything which has happened since the diagnosis as it is a long story, but I will explain the highlights. On March 6, our lives changed forever. My sister was admitted into the hospital due to abdominal pain, and upon completion of a CT scan, we found out that there were lesions on her liver. She was immediately set up for a scope, and the next morning we found out there was a large tumor in the colon. The colon and liver were then biopsied, and we anxiously awaited the results. 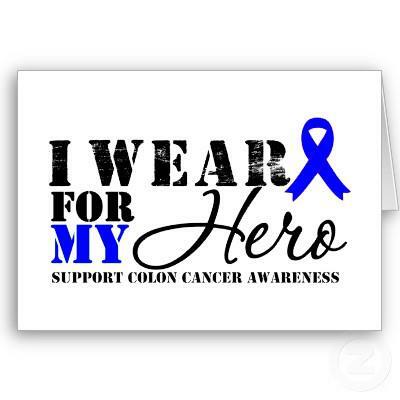 On March 8, the doctor came in and told us that Ellen has Stage IV colon cancer. Needless to say, our lives were flipped, and things that used to matter suddenly didn’t have any place in life anymore. I found myself going through so many different emotions including guilt and anger. Immediately, however, I knew we were going to fight this. What I didn’t know at that time was just how strong my sister is. I’ve always known my sister had a strength that couldn’t be denied, but seeing her go through this battle with such faith, courage, and dedication has truly impressed me and inspired me. Up until this diagnosis, everything had always centered around me as I was the “sick one.” It truly never crossed me mind that my sister would ever have to fight a battle like this as I foolishly felt that I have fought enough for the entire family. Yet, here we are, fighting away and hoping for remission soon. And boy has she fought. From day one, there was a dedication and a fire to her that I can’t exactly put into words. Things that I was worried about for her to deal with, she has taken in stride and just kept going. She has changed her entire diet, and she has maintained a positive attitude throughout. She’s ready to be cancer-free and to help others who are going through this journey. Talk about a hero…she truly is mine. Since the immediate diagnosis, we’ve had a hiccup or two. Overall, however, it has been pretty good news. After just four treatments, the chemo worked to shrink the liver tumors by 20-35%!! Also, where the liver tumors are, they feel confident they can cut them all out and she will still have half her liver which will hopefully regenerate itself with time. This news as incredible to hear, and we were so excited to learn that the doctors feel surgery is a good option at this point. In fact, surgery is scheduled for June 12. On that day, the doctors will go in and take out half the liver and a good chunk of the large intestine in order to get as much of the cancer out of her as possible. It’ll be a big surgery, but I know my sister has the strength to fight all the way through it! From there, chemo will start up again and will continue for 6 months or a year, depending on what the doctors decide. The goal here is to take out the big tumors on the 12th and then kill off any rogue cancer cells that have spread to other areas of the body. Needless to say, if you are the praying type we would appreciate any extra prayers you can spare as she continues through this journey. Good thoughts and well wishes are also VERY appreciated! It’s been a rough few months for my family, but I’m anxiously awaiting the day when we can say my sister is cancer-free! She and I have her wedding to plan and a trip to Disney in our futures! !